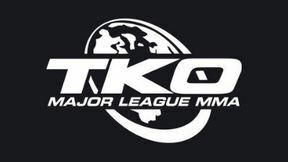 TKO UCC 4: Return of the Super Strikers full event replay from May 12, 2001 in Sherbrooke, Quebec, Canada. Scott Clay vs JT McCarthy TKO UCC 4: Return of the Super Strikers Sat, May 12, 2001 (7:52) Scott Clay vs JT McCarthy from TKO UCC 4: Return of the Super Strikers in Sherbrooke, Quebec, Canada on May 12, 2001. Yves Jabouin vs Dave Nicholls TKO UCC 4: Return of the Super Strikers Sat, May 12, 2001 (11:25) Yves Jabouin vs Dave Nicholls from TKO UCC 4: Return of the Super Strikers in Sherbrooke, Quebec, Canada on May 12, 2001. 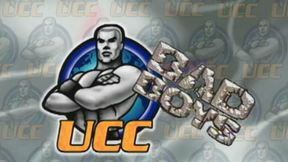 Yan Pellerin vs Barney Schisler TKO UCC 4: Return of the Super Strikers Sat, May 12, 2001 (10:24) Yan Pellerin vs Barney Schisler from TKO UCC 4: Return of the Super Strikers in Sherbrooke, Quebec, Canada on May 12, 2001. 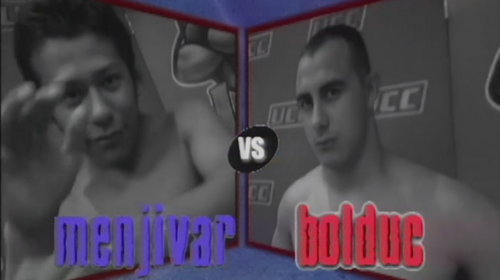 Ivan Menjivar vs JF Bolduc TKO UCC 4: Return of the Super Strikers Sat, May 12, 2001 (15:50) Ivan Menjivar vs JF Bolduc from TKO UCC 4: Return of the Super Strikers in Sherbrooke, Quebec, Canada on May 12, 2001. 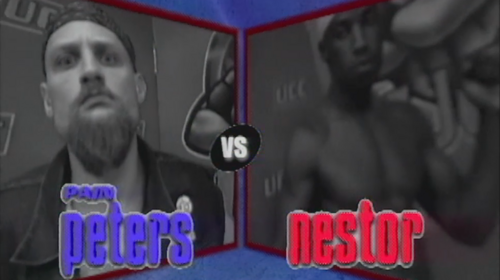 Shawn Peters vs Ali Nestor Charles TKO UCC 4: Return of the Super Strikers Sat, May 12, 2001 (9:11) Shawn Peters vs Ali Nestor Charles from TKO UCC 4: Return of the Super Strikers in Sherbrooke, Quebec, Canada on May 12, 2001. 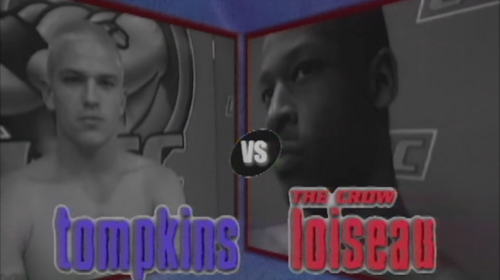 David Loiseau vs Shawn Tompkins TKO UCC 4: Return of the Super Strikers Sat, May 12, 2001 (9:19) David Loiseau vs Shawn Tompkins from TKO UCC 4: Return of the Super Strikers in Sherbrooke, Quebec, Canada on May 12, 2001. 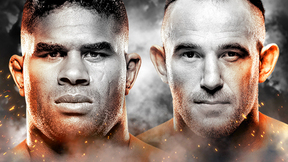 Gary Armbrust vs Jeromie Sills TKO UCC 4: Return of the Super Strikers Sat, May 12, 2001 (9:03) Gary Armbrust vs Jeromie Sills from TKO UCC 4: Return of the Super Strikers in Sherbrooke, Quebec, Canada on May 12, 2001. 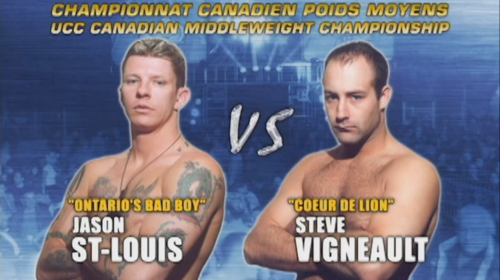 Steve Vigneault vs Jason St. Louis TKO UCC 4: Return of the Super Strikers Sat, May 12, 2001 (18:14) Steve Vigneault vs Jason St. Louis from TKO UCC 4: Return of the Super Strikers in Sherbrooke, Quebec, Canada on May 12, 2001. Donald Ouimet vs Claudionor Da Silva Fontinelle TKO UCC 4: Return of the Super Strikers Sat, May 12, 2001 (15:25) Donald Ouimet vs Claudionor Da Silva Fontinelle from TKO UCC 4: Return of the Super Strikers in Sherbrooke, Quebec, Canada on May 12, 2001.